Popular TV host Raffi Ahmad was released after three months at the National Narcotics Agency (BNN) drug rehabilitation program in Lido, Sukabumi following his arrest on a recreational drug user charge. “Raffi was allowed to go home to attend rehab as an outpatient,” Amy Qanita, Raffi’s mother, said. She said she was prepared to support her son during his rehabilitation and he would take some time out to come to terms with his current situation before he returned to his usual activities. 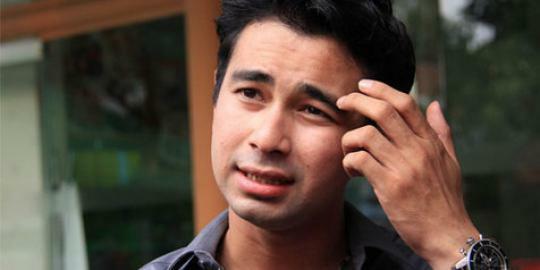 Raffi Ahmad was arrested by BNN investigators at his house in Lebak Bulus, South Jakarta, in late January. Despite massive protest from fans and lawyers about what they deemed an unfair detention, BNN officials insisted that the arrest and detention were necessary due to Raffi’s celebratory status. 1 Response to "Raffi Ahmad released from rehab"